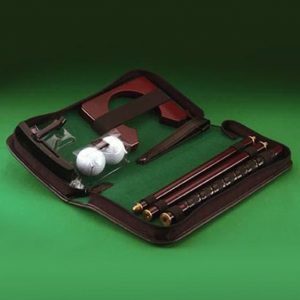 When the weather outside is frightful, it is time to play a round of Dominoes Golf! 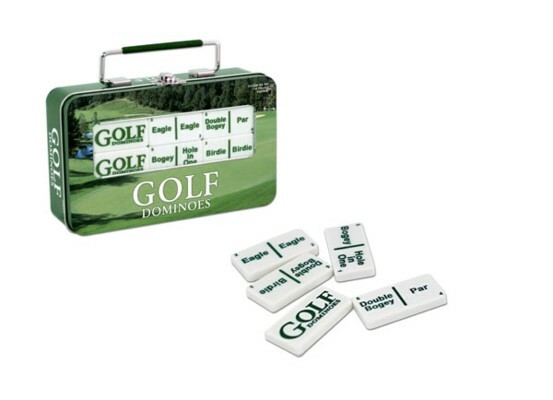 Enjoy all the fun of classic dominoes with 28 custom domino tiles featuring golf scores that replace the traditional pips. 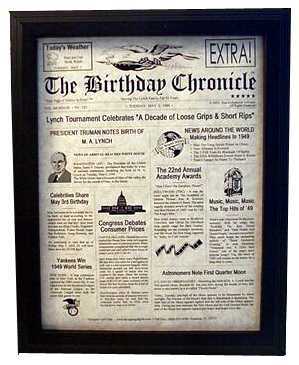 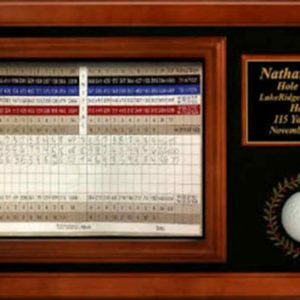 Now you can get a Hole in One, Birdie, Eagle or a dreaded Double Bogey. 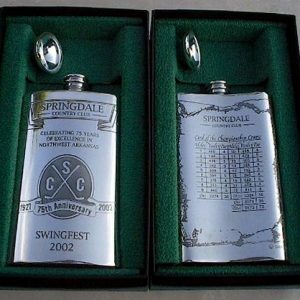 The game comes in a handy travel tin that makes it perfect for gift giving to the golfer that travels away from home and doesn’t have time to get out on the course as much as they would like or for a golfer who is unable to hit the course due to illness or injury. 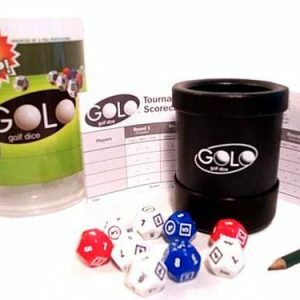 Comes with 5 easy to learn and fun domino games, for 1-4 players ages 8 and up. 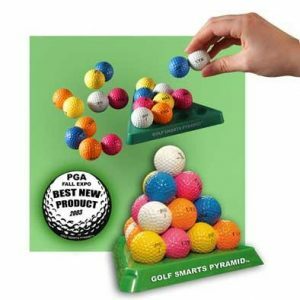 Get several domino games to give to all your golfing buddies!! 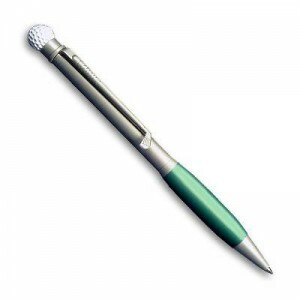 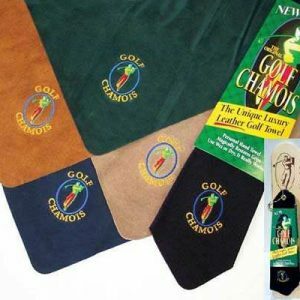 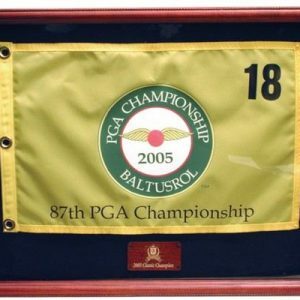 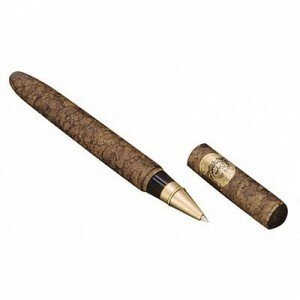 The perfect “thinking of you gift” for the golfer in your life.